I had the loveliest time last night, chatting with two old friends. The three of us have known each other over twenty years, since our high school days. There is nothing quite like the comfort of talking to other mothers who know your mother, know your family, know your story and your history. You don’t spend time explaining: you get to move immediately to the heart level and talk about how you are really doing. It is so refreshing for all three of us to get to connect as friends, mothers, wives and women. What a privilege to get together with these two women. We have discovered that at this time in our lives, the easiest time to get together is after the kids are in bed, in the evening. And even then we can only make our schedules coincide every third month or so. For years we met over coffee, and perhaps someday we will again. In the meantime I will drink to Lindsey and Betsy this week as I enjoy my morning cup of coffee. You too can drink to friends old and new this week with some great locally roasted coffee. How is that for a segue? 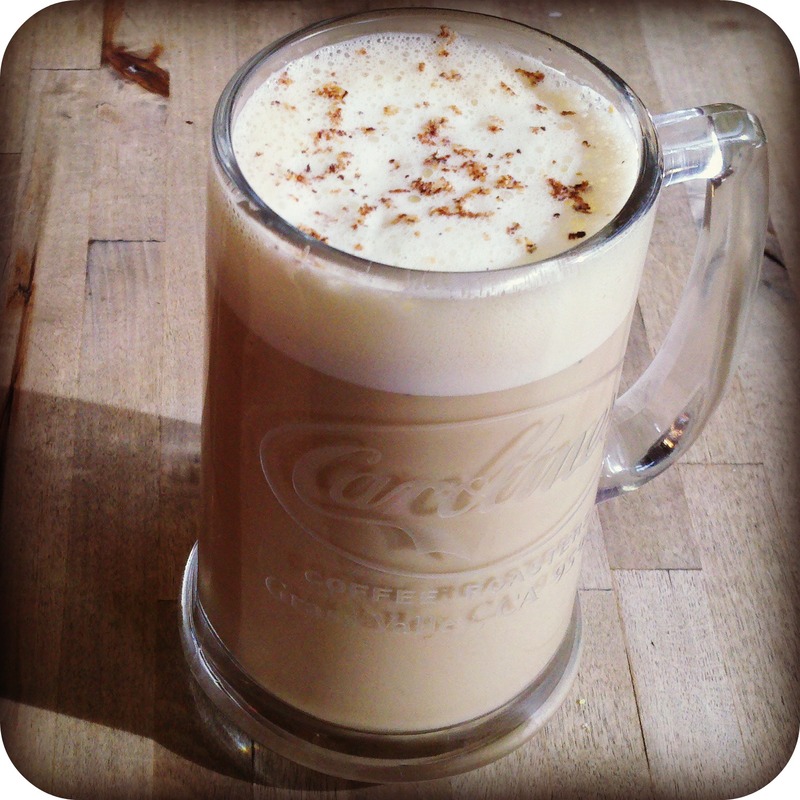 We’ve got a fun coffee option for you today. Last week I wrote about how our Organic Timor is a wet-processed bean. Well this week Trace, our roaster, decided to let you taste the difference that processing can make to a coffee. We have two Balinese coffees brewed this week (#2 and #3 in the pump pots), and the biggest difference between them is that one is a natural, or dry-processed coffee, while the other is a washed bean. With a wet-processed bean, as we discussed last week, the fruit is removed by washing before the bean is dried. In dry-processing, the red cherry is left intact while drying. This causes a natural fermentation to occur, and a natural coffee tends to have much fruitier flavors when it is brewed. These two Organic Balinese coffees prove this to be true, with the washed one (#3) tasting bold and full-bodied, like a classic Indonesian coffee. The natural (#2) has notes of fruit, wine and berries. We are doing something different this week with our free cup, so that you can sample both of these coffees. When you use the code red cherry*, we will give you two four ounce cups, so that you can try these side by side. If you come in tomorrow, you will also be able to participate in the downtown Holiday Open House event. Over thirty participating merchants, including yours truly, will be kicking off the holiday season with promotions, sales, and fun activities. 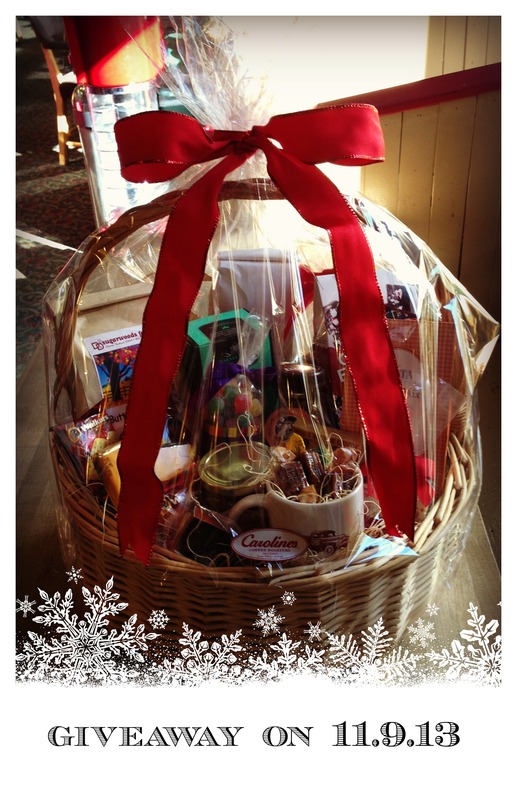 We will be giving away the gift basket pictured above (full of gourmet goodies!) to one lucky winner. You can enter your name tomorrow, and we’ll choose the winner on Monday. Good luck! *Code good for two four ounce cups of Organic Balinese: one washed and one natural. Code expires on 11.14.13. Limit one time per week per customer please. 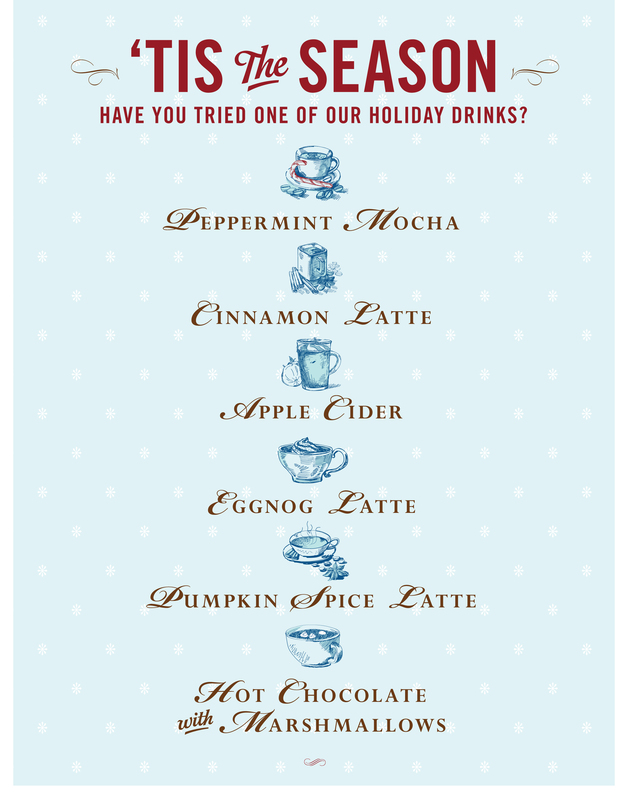 Valid only at Carolines Coffee Roasters, 128 S. Auburn Street, Grass Valley, CA. Code/Offer has no cash value. Last night was the fourth downtown Thursday Night Market, and the downtown streets were full of folks out enjoying an evening on the town. We especially enjoyed the live music, and the singing of our employee Roderick as part of the group Uncle Junior. The kids and I were dancing until the market closed. It was a vibrant scene. I love the bright colors on this bag. 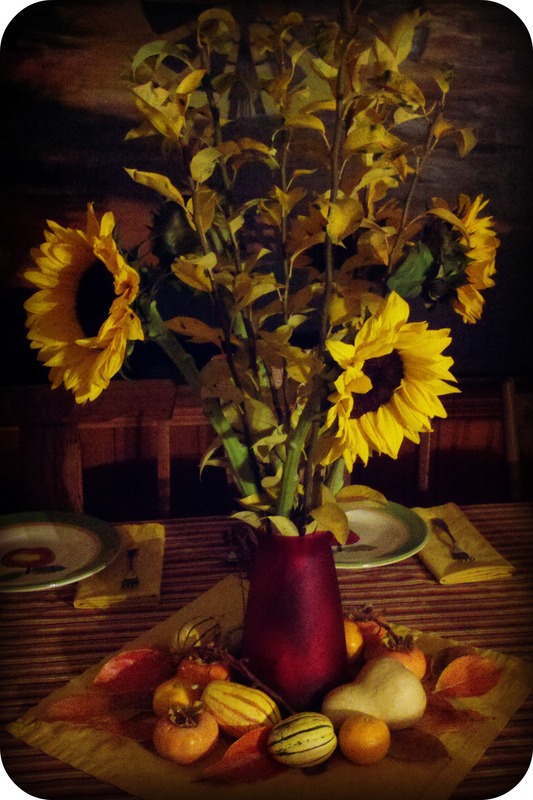 There are more pictures on our blog here, and Sierra FoodWineArt magazine has a series here. The Outside Inn blog had a write-up on the market here, and there is more information on the Grass Valley Downtown Association page here. 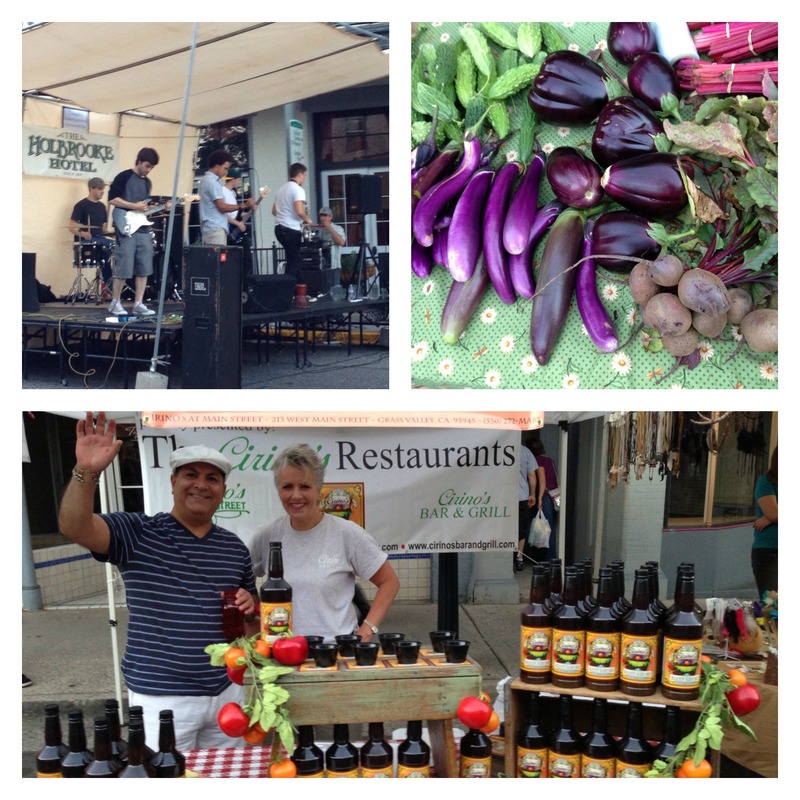 The market runs through September 26th, so if you haven’t made it downtown yet, you still have time. 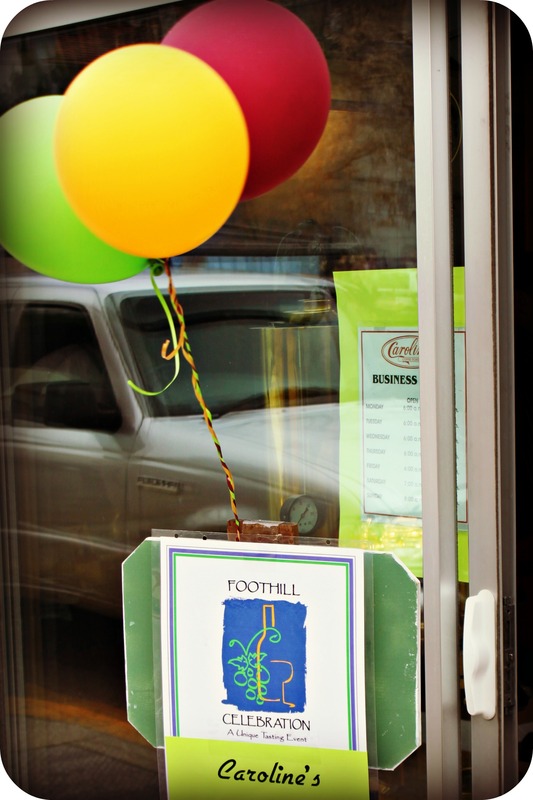 We’re open every Thursday night until 8:30 pm, serving coffee drinks hot and cold to keep you going! This week’s coffee of the week is one of my favorites. I love the flavor, but it has the added allure of arriving in a sack evocative of the islands where it is grown. In fact our staff has been flipping coins to see who gets the empty Balinese burlap bags. What’s not to like about coffee from a tropical island? This coffee comes from small farmers in Bali, who work in cooperation as part of a Hindu religious group. According to our importer, these farmers are organized in a spirit of “Tri Hita Karana” (see article here), seeking happiness in their relationships between each other, the environment, and God. These are all plants that were established after a volcanic eruption in 1963 wiped out most coffee in Bali. It might be a stretch to say that the happiness comes out in these beans, but they are certainly well-farmed, and the quality shows in the cup. The coffee is picked by hand, which helps insure optimal ripeness, and left to dry on raised bed. The taste is slightly floral at first, but finishes with the more earthy tones that you might expect of an Indonesian coffee. 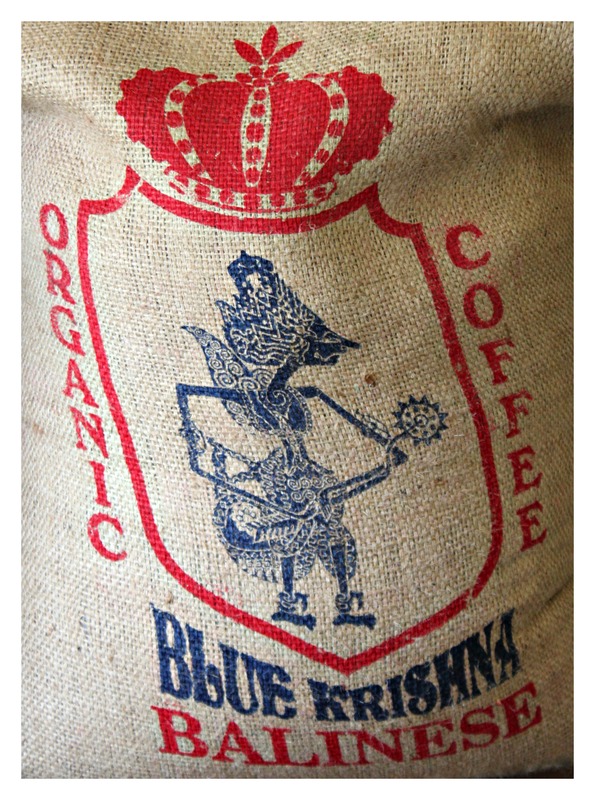 Organic Balinese has been an employee favorite since we first brought it in. I’m excited to drink it at the store for the next week: it really has an amazing taste. 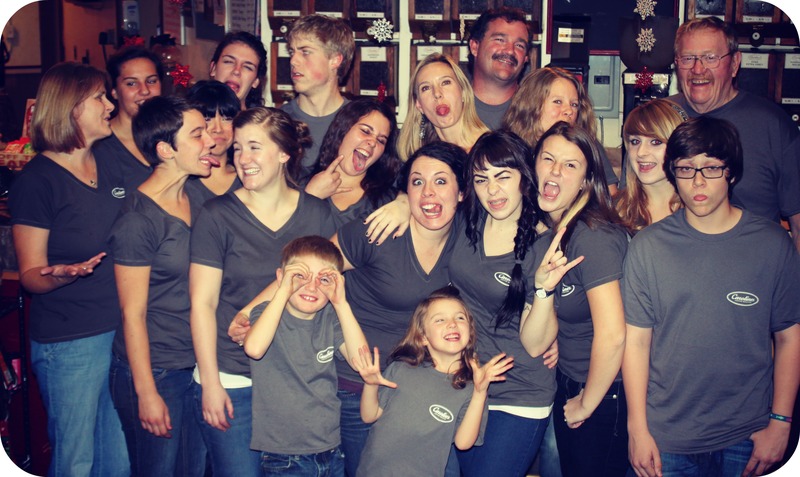 Come on in and try a cup on us by using the code “employee favorite.”* Enjoy the Nevada County Fair next week! *Code good for one free 12 ounce cup of Organic Balinese. Code expires on 8.08.13. Limit one free cup per customer please. 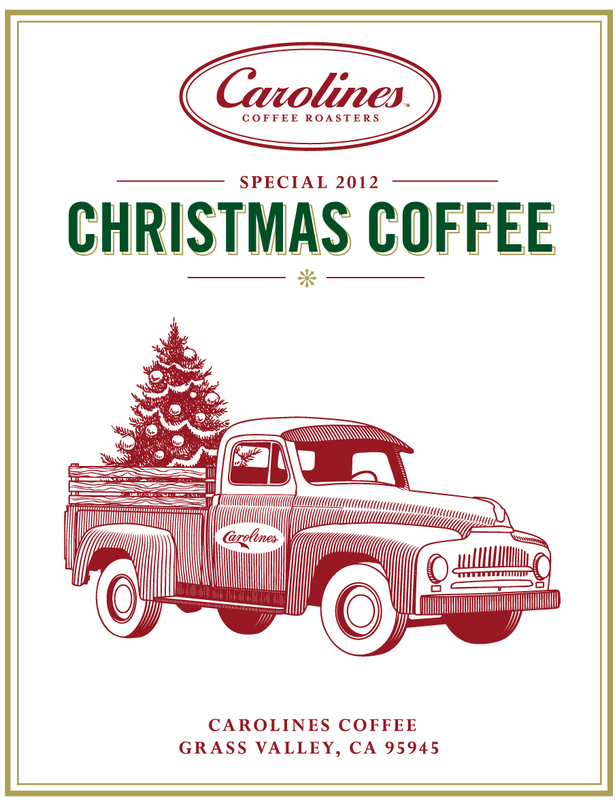 Valid only at Carolines Coffee Roasters, 128 S. Auburn Street, Grass Valley, CA. Code/Offer has no cash value. 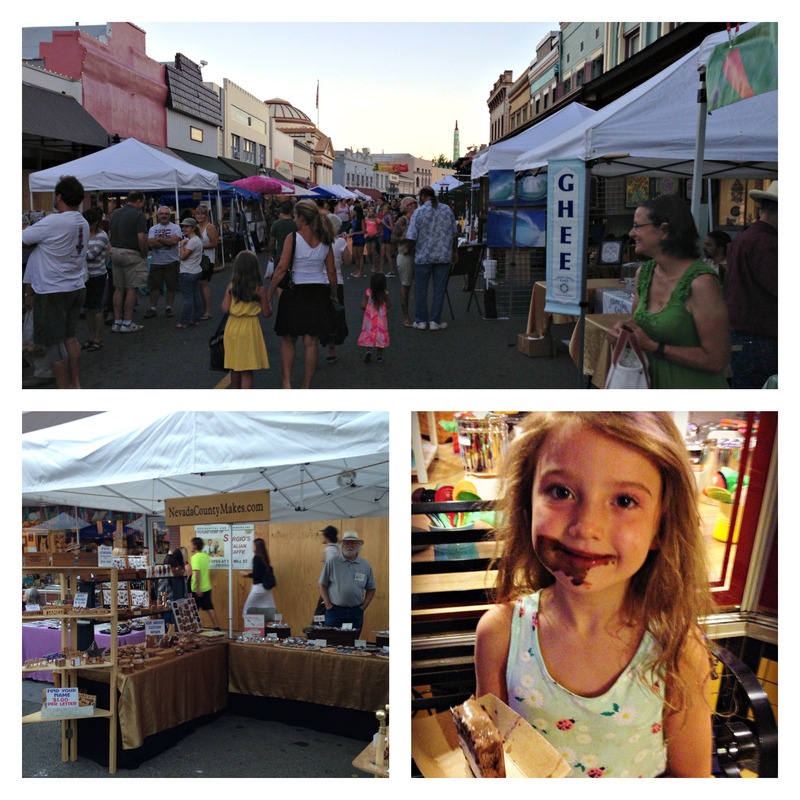 Last night we enjoyed walking around downtown Grass Valley, listening to the live music, and checking out the produce offered by local farmers. 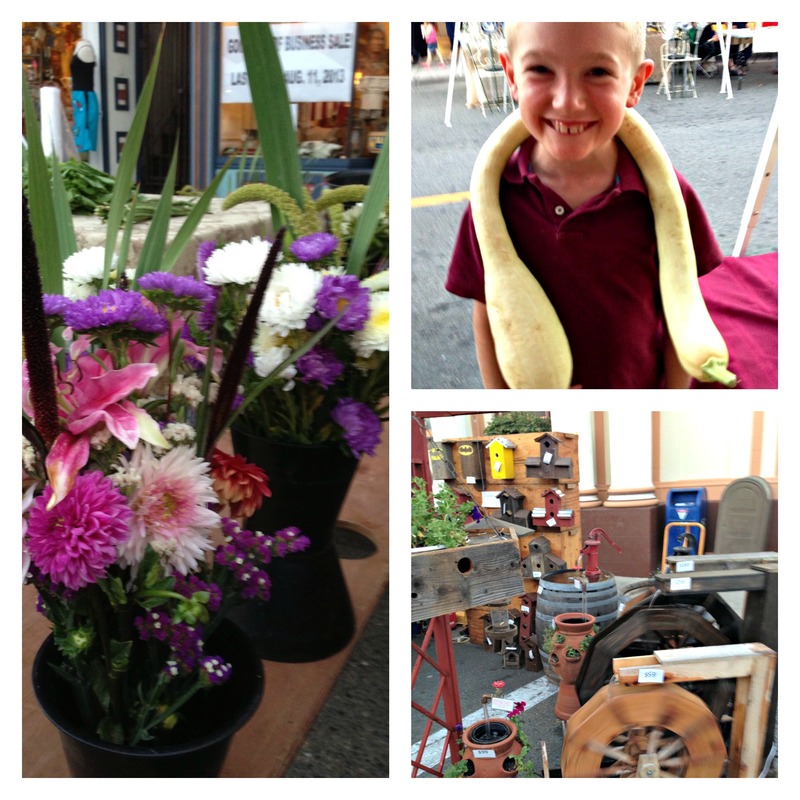 There were crafts for the kids, vendors selling handmade items, and dancing in the streets. Carolines Coffee is open until 8:30 pm every Thursday night while the market runs (until September 26th), and you can stop in and enjoy a coffee while you wander the event. The entertainment schedule is posted here, if there’s someone you would like to see. Last weekend we drove out to North San Juan to see the tulips at the Ananda Village. Our local paper ran a brief article about it here, and there were people lining up to walk through when we were there. The gardens are in full bloom, and the wisteria and the dogwoods were as impressive as the 11,000 tulips that were planted. If you have a favorite shade or variety of tulip, I’m sure you can find it there. 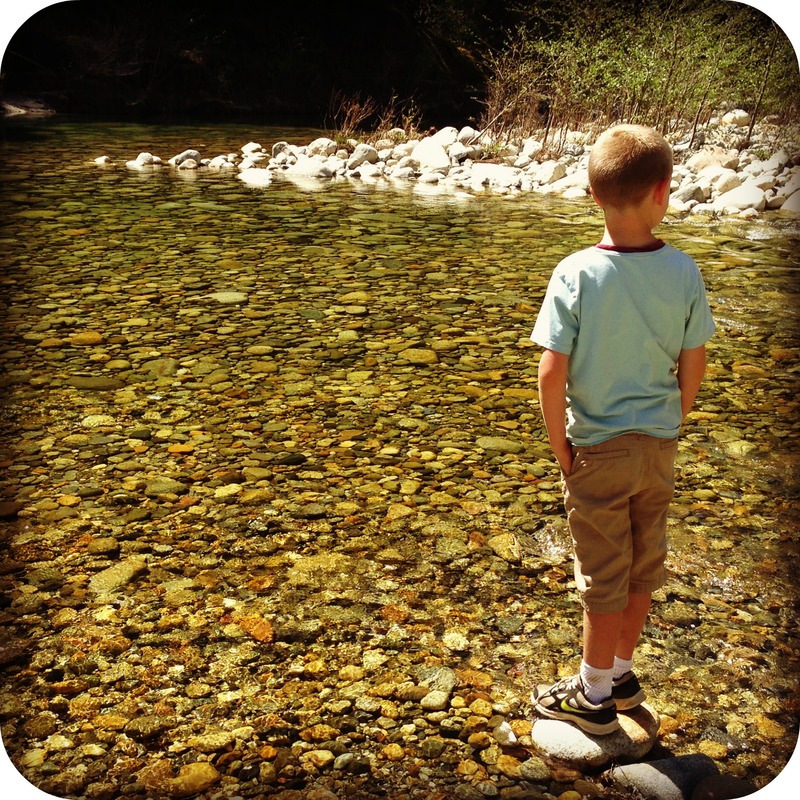 Afterwards Trace and the kids and I enjoyed a picnic lunch on the South Yuba. We are certainly lucky to live in an area where the view is scenic and wild no matter where you go. April can be a month of rain, and the river can be raging with snowmelt, but when we were there Sunday the sun was beating down and the frigid water looked inviting. It was clear as could be, with none of the algae growth that comes with the summer warmth. I’m pretty sure that my little boy (or not so little–where did the time go?) could have stayed and skipped rocks all day. We did have weekend chores to do, so we continued on home. Starting on Tuesday this week, and going through the end of April, we’ve been giving away something every day on our Facebook page. You’ve got five days left to enter, so come on in and fill out an entry, or leave a comment on that day’s picture to win. This week our coffee comes from an island known for its natural beauty. I looked online for photos of Bali, and they all seem to have brilliant azure water framed by verdant mountains. Talk about scenic! Coffee is best grown at higher elevations, and I can imagine looking down at the water from a coffee farm in the highlands. The Balinese is roasted light and you taste an earthiness as you sip. It has more body than the Organic Java that we featured last week, and if you enjoyed the Java, you’re sure to like our Organic Balinese. It also pairs perfectly with chocolate and I highly recommend a Venezuelan bar from Cello Chocolate as an accompaniment. 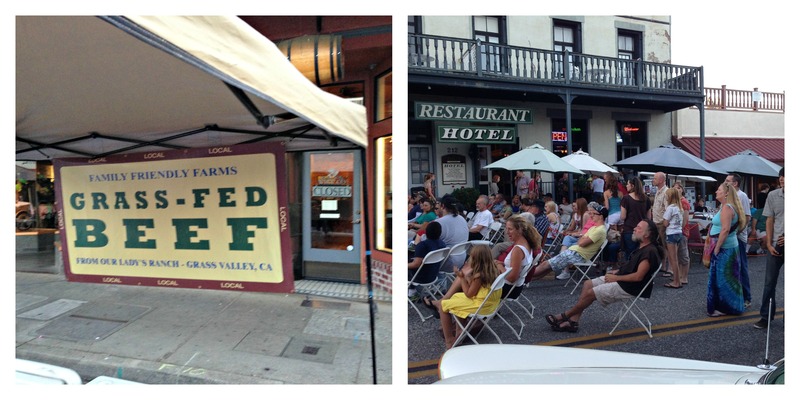 This weekend is the Downtown Grass Valley Car Show, so if you enjoy old cars, come on down! I’m sure that we’ll be busy blending up mocha freezes in this nice weather. You can also sample a cup of the Balinese on us by using the code in bold above: summer warmth. Cheers!